Time for some fun Easter play? 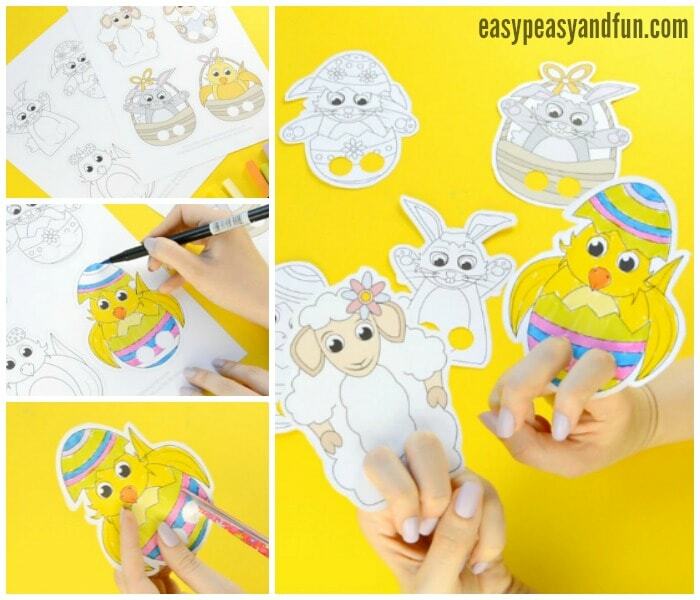 Print these Easter finger puppets and let the fun begin! 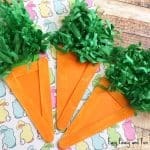 Hint, hint these will make adorable non candy Easter basket fillers! 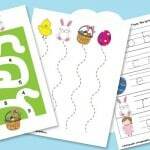 We love creating printables for kids and we love it even more when the sole purpose of those printables is having fun! Not to say these don’t have any educational value or developmental one as dramatic play is great for little minds. And dramatic play they will have with these! There are a millions, well to be more precise a never ending variety of stories and scenarios kids can create with their creative minds. And the more dramatic play they engage with the more creative their minds become. There are many fun characters in this printable set, well two sets. One comes in full color and one is back and white. While we do love both, we sincerely hope your kids will fall for the black and white one and give it their personal touch by coloring it. And as always we hope some glitter glue will be added when they color them. Glitter makes everything better (well glitter glue does, glitter dust can be a nightmare, we know). Each of these finger puppets has a “designated” area for fingers. As fingers usually don’t come in “uniform” sizes do make the holes bigger if needed. We want them to comfortably sit on your kids fingers. Are you a teacher? 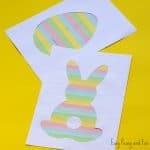 This Easter craft template will make fun and frugal Easter gifts for your students to play with. Ready to start making them? Let’s go! 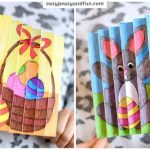 There is a nice variety of Easter puppets available for you (you can get them at the end of this post). You will find 8 different puppets, both in full color and black and white. 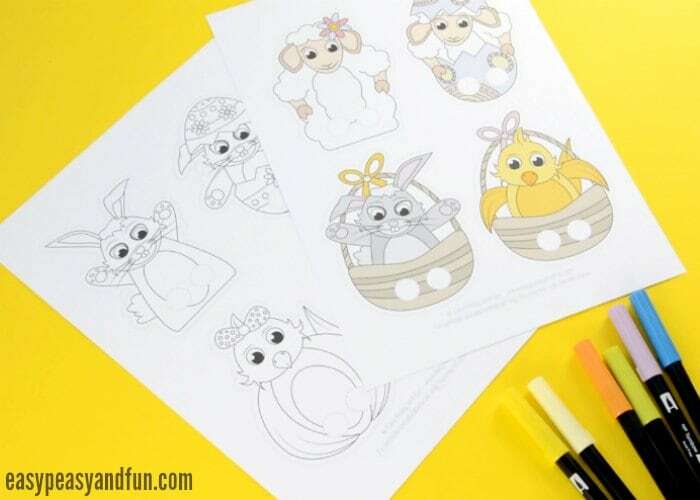 There is a regular bunny, a bunny in a decorated egg, a regular chick, a chick in the egg, a regular sheep, a sheep in the egg, a bunny in the Easter basked and a chick in the basket. 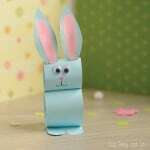 Print your Easter craft templates. We hope you will print them all, as we think all characters are insanely cute! We printed ours on 120 gsm / 80 lb paper and they worked out nicely. Heavier paper will be even better to make them more durable. You could also laminate them just make sure the edges on the holes for fingers are not sharp. Printed the black and white version? Time to color! We colored ours with markers (Tombow) but there really are no limits to what your kids can use. As previously mentioned, glitter makes everything more fun and sparkly! 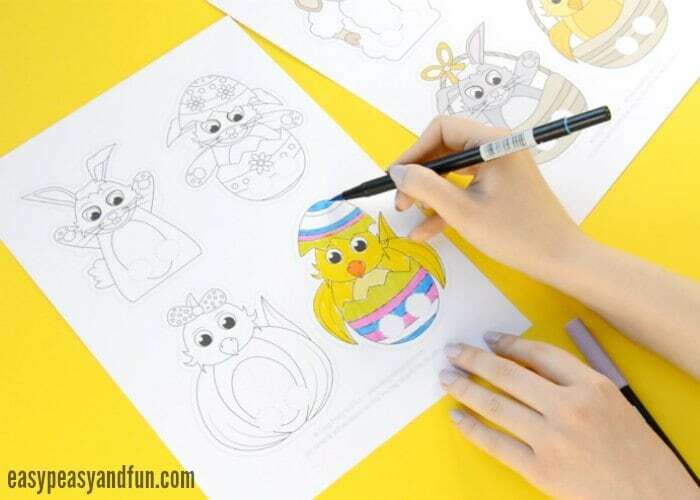 Once you are done with coloring it’s time to cut the Easter finger dolls out. 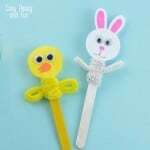 Most kids will manage cutting along the outer line but finger holes might prove to be too difficult and adult assistance will be required. You can also use a small circle paper punch – it saves a lot of hassle. Almost done! We do suggest you “measure” the kids fingers to make the best fit with the holes. Make them larger if needed. 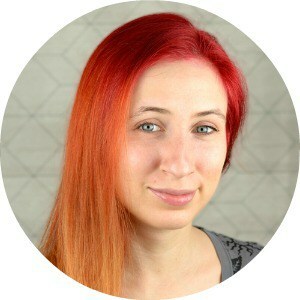 Also make sure that the paper edges are not to sharp (nobody likes paper cuts) – you can do this by pressing against the edge with something – something like a marker. 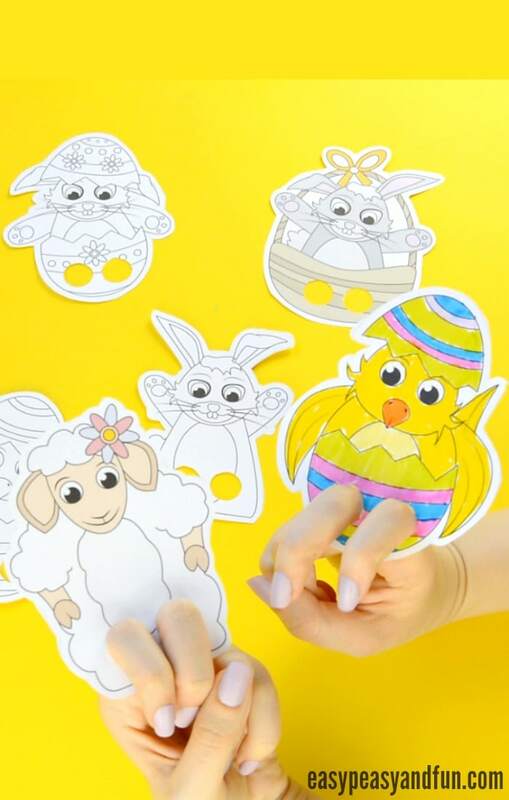 Your Easter Finger Puppets are ready to bring your kids imagination to life! Have fun watching the puppet show they prepare for you!